When arranging the funeral you will be asked if there is a particular person you would like to lead the service. If you have a religious faith, it may be the minister, priest or pastor of your church. However, if you do not belong to a specific church or if you would like to arrange a non-religious funeral then A.R. 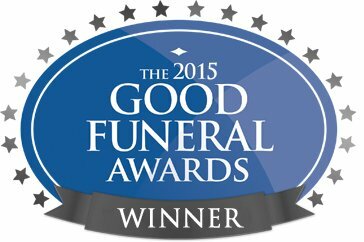 Adams can recommend a funeral celebrant to lead the service on the day. Whatever your requirements are for a minister or a celebrant, A.R. Adams will contact the relevant person and inform them of the pending funeral service. We will ask them to contact you and make arrangements to meet with you to discuss the content of the funeral service. Information regarding their life, past history, favourite pastimes and any memorable anecdotes will be discussed. Learning about the relationships that a deceased had helps the funeral officiant determine the proper phrases and verses to use during a service. If you would like the chance to speak during the funeral service, then you can discuss this with the funeral officiant. On the day of the funeral they will then open the floor to you, giving you the opportunity to share a personal experience or fond memory about the person who has died, with the congregation.